EarthTalk: Do Sunspots Cause Global Warming and How Much Potential Energy is There in U.S. Oil Shale Reserves? Some climate change doubters blame global warming on sunspots and/or solar wind. Many climate scientists agree that natural variations in the sun’s output could be playing a role, but the vast majority view it as very minimal and attribute Earth’s warming primarily to emissions from industrial activity - and thousands of peer-reviewed studies back up that claim. Sunspots are storms on the sun’s surface that are marked by intense magnetic activity and play host to solar flares and hot gassy ejections from the sun’s corona. Scientists believe that the number of spots on the sun cycles over time, reaching a peak—the so-called Solar Maximum—every 11 years or so. Some studies indicate that sunspot activity overall has doubled in the last century. The apparent result down here on Earth is that the sun glows brighter by about 0.1 percent now than it did 100 years ago. Solar wind, according to NASA’s Marshall Space Flight Center, consists of magnetized plasma flares and in some cases is linked to sunspots. It emanates from the sun and influences galactic rays that may in turn affect atmospheric phenomena on Earth, such as cloud cover. But scientists are the first to admit that they have a lot to learn about phenomena like sunspots and solar wind, some of which is visible to humans on Earth in the form of Aurora Borealis and other far flung interplanetary light shows. Some skeptics of human-induced climate change blame global warming on natural variations in the sun’s output due to sunspots and/or solar wind. They say it’s no coincidence that an increase in sunspot activity and a run-up of global temperatures on Earth are happening concurrently, and view regulation of carbon emissions as folly with negative ramifications for our economy and tried-and-true energy infrastructure. Many climate scientists agree that sunspots and solar wind could be playing a role in climate change, but the vast majority view it as very minimal and attribute Earth’s warming primarily to emissions from industrial activity—and they have thousands of peer-reviewed studies available to back up that claim. 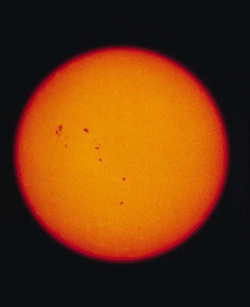 Peter Foukal of the Massachusetts-based firm Heliophysics, Inc., who has tracked sunspot intensities from different spots around the globe dating back four centuries, also concludes that such solar disturbances have little or no impact on global warming. Nevertheless, he adds, most up-to-date climate models—including those used by the United Nations’ prestigious Intergovernmental Panel on Climate Change (IPCC)—incorporate the effects of the sun’s variable degree of brightness in their overall calculations. Ironically, the only way to really find out if phenomena like sunspots and solar wind are playing a larger role in climate change than most scientists now believe would be to significantly reduce our carbon emissions. Only in the absence of that potential driver will researchers be able to tell for sure how much impact natural influences have on the Earth’s climate. 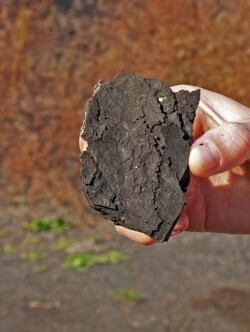 Oil shale is a fine-grained sedimentary rock that contains significant amounts of kerogen, a solid mixture of organic chemical compounds that can be converted into synthetic liquid fuel similar to oil, or into shale gas similar to petroleum-derived natural gas. Geologists believe there is more oil shale out there in the rocks of the world—three trillion barrels worth of fuel—than there is oil in existing reserves globally. Oil shale has been mined extensively in Brazil, China, Estonia, Germany, Israel and Russia, but up to two-thirds of the world’s supply lies in the Green River basin of the western United States, including parts of Wyoming, Utah and Colorado. To date, these American oil shale resources remain virtually untapped, but an 11th hour executive order by the Bush administration in 2008 put two million acres of Bureau of Land Management (BLM) land across Wyoming, Utah and Colorado up for lease to oil shale extractors. Other nations with oil shale reserves have been mining them for decades for power generation and other uses, but American enthusiasm has run hot and cold, depending on oil prices. The U.S. was bullish on oil shale during the 1970’s oil shocks, but when gas prices fell again, so did the enthusiasm for oil shale. American companies didn’t look into mining domestic oil shale again until 2003—again, thanks to spiking oil prices. George W. Bush’s Energy Policy Act of 2005 officially opened federal lands to oil shale extraction. But then once again lowered oil prices, along with environmental concerns and growing enthusiasm for renewable energy sources left oil shale’s future in the U.S. again uncertain. For their part, environmental groups are unequivocally against oil shale extraction. For one, extracting operations destroy affected landscapes, forcing plants and animals out, with regeneration unlikely for decades. Another big issue with oil shale extraction is water usage. The process requires as much as five barrels of water—for dust control, cooling and other purposes—for every barrel of shale oil produced. Oil shale extraction is also very energy-intensive, and as such is no solution to our global warming woes. Researchers have found that a gallon of shale oil can emit as much as 50 percent more carbon dioxide than a gallon of conventional oil would over its given lifecycle from extraction to tailpipe. Due to these concerns and others, 13 environmental groups, including the Wilderness Society, Sierra Club and Natural Resources Defense Council, teamed up in January 2009 to file suit against the federal government for opening up all that western U.S. land to oil shale development. The suit contends that the BLM failed to properly consider air quality and endangered species impacts in the region. 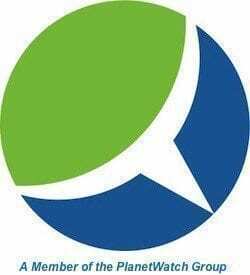 The groups also contend that the development would require the construction of 10 new coal-fired power plants in order to get at and process the oil shale, significantly upping the carbon footprint of the entire region. Green groups hope that the Obama administration will overturn Bush’s decision to lease development rights on the land, which is near three national parks in one of the least developed parts of the U.S. Boy, with a domain name like that, you MUST be an unbiased source for “global warming” information. Did you see anywhere on the blog stating I didn’t have an opinion and point of view from which the blog is derived? While I’m fairly certain you never bothered to check that far, you’d see you little jab is fairly superfluous – though it might still make you feel good. Unfortunately, many scientists have bought into the improper analysis and calculations used for global warming. First of all, the solar input data that is used is highly filtered and does not properly account for the high peaks of sunspot activity nor the low minimums. This type of filtering reduces the magnitude of effects of the highs and lows and therefore reduces the impact of the solar input in the climate calculations. This leads to incorrect results, and therefore incorrect interpretations of the climate calculations. In order to be properly informed of the impacts of the sun on our climate, the full influence of the sun must be accounted for. Most of the calculations only include the solar average solar flux, and not the full impact of the ultraviolet and particle flux changes during increased sunspot activity. This improper accounting of solar input is also misleading, lends to incorrect results, and poor understanding of the true influence of the sun on our climate. Our sun has a dramatic influence on our climate, and to deny this through the use poor science is unjustifiable. People have political reasons for denying solar influences, and have been blinded by the complexity of the scientific calculations to challenge the religion of global warming. Thousands of peer-reviewed studies? Really? Could you provide a bibliography? Or at least a reference to a bibliography? Or at least a source who can claim to have reviewed the thousands of studies? Yes really, get your head out of the sand. Did you even bother to really read the post or follow the links at the end? I suggest that you check out the current trend in global temperatures. Temperatures have been declining since 1998, all the while CO2 emissions are contiuning to increase. Correspondingly solar sunspot activity is at an all time low. I would say that the best way to determine which (solar actrivity or CO2)has a greater impact is to observe what is happening now and what happens in the next few years. Efforts to date to reduce CO2 emissions have been ineffective. Temendous time, effort and money has been devoted to the reduction of CO2, yet emissions contiue to rise. Maybe we should be spending our money on trying to alter solar activity. Thanks for the comment. I am familiar with the global temperature trend since 1998, and has been written about on this blog and elsewhere. Could you provide a link or citation to support your assertions? While it is interesting that he sees a corrolation with solar activity in the past with global temperatures, yet “a simple linear parameterization of surface temperature anomalies and solar irradiance based on this preindustrial relationship” lead him to conclude that current warming is only partially due to solar radiuation. His arguements are based upon the solar irradiance reaching the earth and his conclusions do not incorporate other effects that result from sunspot activity. Solar irradiance is not the primary factor in climate change due to the Sun (as argued by many anthropomorphic global warming supporters). Solar sunspot cycles have many effects on climate. Solar activity is directly related to the amount of cosmic radiation that reaches the earth. It has been shown that cosmic radiation induces cloud formation in the earth’s atmosphere and that clouds reflect the sun’s energy away from the earth causing cooling. The more cosmic rays that reach the atmosphere the more clouds there are and the cooler the earth. Conversely, when cosmic radiation is low, fewer clouds form and the warmer the earth. When sunspot activity is high the Sun emits more energy in the form of solar wind (particles), more intense magnetic fields, and light energy (irradiance). While the irradiance heats the earth directly, the solar wind and magnetic field protect the earth (and the solar system) from cosmic radiation originating beyond our system. Thus lower cosmic rays mean low cloud formation and we get a double whammy – higher irradiation and lower cloud formation resulting in higher temperatures on earth. Therefore large sunspot activity equals higher temperatures. Now that sunspot activity is unusually low, we are not as protected from cosmic radiation, causing more cloud formation and the Sun is emitting less energy => cooling. The correlation is not entirely the result of irradiance. The correlation is with the number of sunspots and the sunspot activity. The length of the sunspot cycle (the y axis) is a direct measure of sunspot activity. The sunspot activity is key. 2. Variation of Cosmic Ray Flux and Global Cloud Coverage – a Missing Link in Solar-Climate Relationships by Henrik Svensmark and Eigil Friis-Christensen, Journal of Atmospheric and Solar-Terrestrial Physics, 59 (11) (1997) 1225-1232. Dr. Steve, thanks for the references.